The concept of purely historical Doctor Who story, in which the only sci-fi element is the TARDIS and her passengers, is something of a curiosity and these days relegated to history itself. 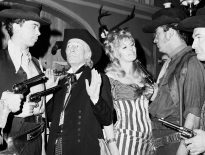 Born out of the programme’s original remit to both educate as well as entertain, the original TARDIS crew tackled such diverse subjects as Marco Polo, the Aztecs, and the French Revolution in their first season alone. In fact, though the series often takes us back into the past of planet Earth, it is ordinarily to deal with the threat of some extra-terrestrial menace. With the exception of Black Orchid, Season 19’s brief visit to the 1920s, the trips into pure history didn’t survive past the fourth year of the show. 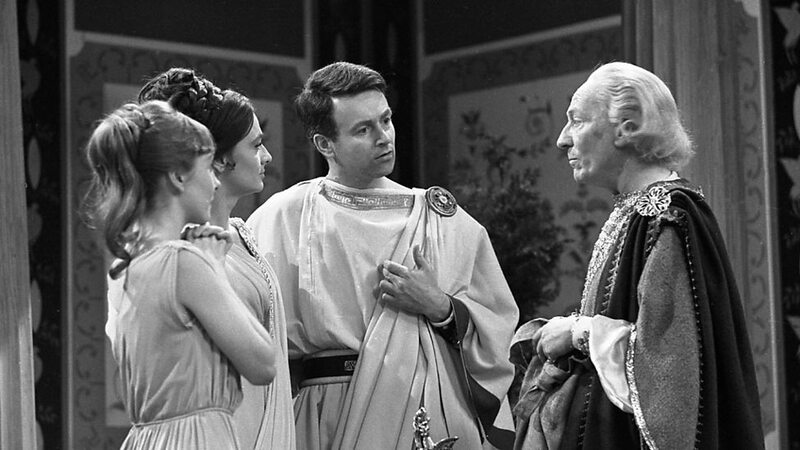 With The Romans, producer Verity Lambert sought a new spin on the format and thus was born a ‘comedy historical’. 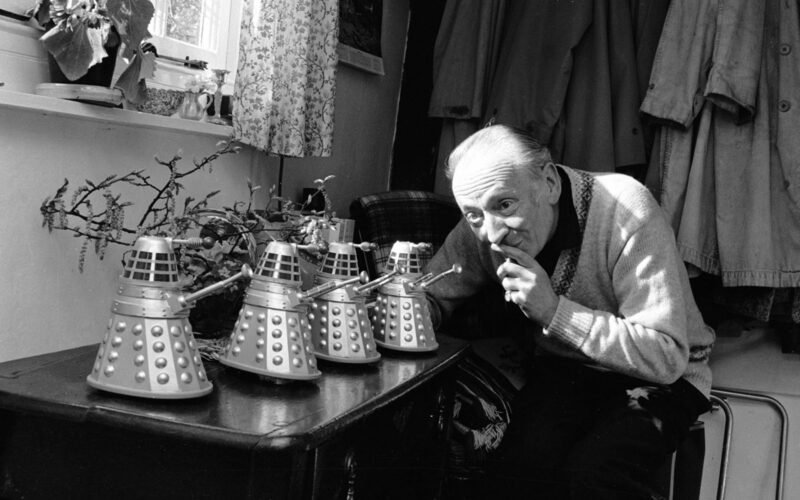 Mixing fact with farce, writer Dennis Spooner places the Doctor (William Hartnell) and his friends in the worlds of slavery and court intrigue. With the cast clearly relishing every moment of it, this story definitely leans harder towards the show’s entertainment part of its remit. After the first change in the principal cast, the Doctor is now to be found travelling with the perky Vicki (Maureen O’Brien), a 25th Century space orphan, as well as retaining schoolteachers Ian Chesterton (William Russell) and Barbara Wright (Jacqueline Hill). We find them all relaxing into a comfortable Roman lifestyle. Barbara and Ian appear to have settled happily into domestic bliss, but Vicki is bored. She was promised adventure and it appears the Doctor is keen to show her Rome. Setting off, he wilfully allows himself to be taken for the famous, and now deceased, lyre player Maximus Pettullian and assumes the identity for a trip into the heart of the Roman Empire. Meanwhile, the other two fall foul of slave traders and begin a very different journey into that society, as Barbara becomes a palace attendant and Ian a slave on a galley ship. While the Doctor with Vicki and the enslaved Barbara all end up at the Emperor Nero’s court, the two parties never actually meet there. Instead, we are treated to some joyous near misses in true farce style, as the pair exits one side of the screen just as Barbara appears on the other. Meanwhile, poor Ian struggles his way to Rome after the good fortune to survive a shipwreck, only to land in even deeper water at the Arena. These comedy elements mixed with the brutal undertones of a society founded on slavery make for an interesting mix. I’m not used to Doctor Who treating life and death in such a casual fashion, so I’m sure it was a shock to the contemporary audience at home too. It’s heartening to see that a simple act of kindness is what takes Barbara to the palace, and then this in turn leads to their eventual freedom. The Doctor, on the other hand, really only gets into the situation by circumstance and escapes unharmed by dumb luck. It’s a shock and a reminder of how different the show was in its early years to see the Doctor self-serving and perhaps somewhat naïve. He seemingly embroils himself in the adventure to show off to Vicki, obviously trying to impress her. There are some wonderful, relaxed scenes between the principal cast in the early part of the story. 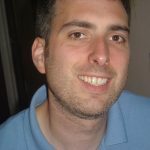 Dennis Spooner has had tremendous fun with the dialogue and situation, giving an unusual pause to the adventures where the characters can simply sit about chatting, eating and joking with no apparent threat. Ian and Barbara come across as a warm, friendly couple, joking and teasing each other and quite obviously close. Vicki has settled easily into the dynamic, so soon after joining the team in the previous adventure, The Rescue, and Barbara appears motherly towards her. The Doctor plays the fool but there’s always a sharp mind in evidence. In one wonderful moment, he calls Ian “Chesterfield” so that Barbara will correct him and then he can pass that off as her wanting Ian’s attention, thus evading his question. 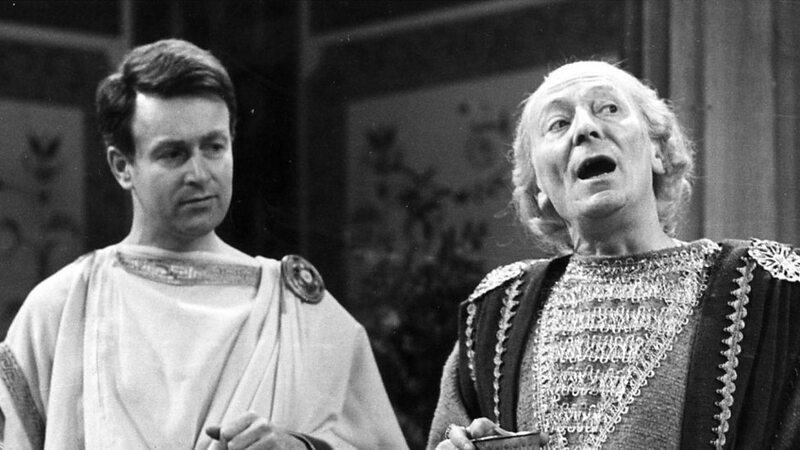 William Hartnell’s comedy muscles are well flexed here and he appears to rise to the challenge with gusto. His scene playing the lyre is fantastic, with the wonderful aside that he gave Hans Christian Andersen the idea for The Emperor‘s New Clothes. It’s also with some amusement that we discover that the Doctor likes a scrap and that he apparently taught the “Mountain Mauler of Montana”, whoever that was. (Sadly, the mauler in question, perhaps a boxer or wrestler of some sort, is entirely fictional.) Hartnell plays the slapstick physical action surprisingly well, letting the other actor come to him before apparently tricking him into a fall from a window. It’s amusing to think of the First Doctor capable of being so physical, yet we are clearly shown that he can be. A young Barry Jackson plays the attacker, the mute Ascaris. Jackson later returned twice to the series, firstly as Jeff Garvey in Mission the Unknown, but more notably as Drax, the cockney wide-boy Time Lord friend of the Doctor in The Armageddon Factor with Tom Baker. Within the guest cast, the part of Nero was always destined to dominate. Derek Francis is outrageously bold, daring to break the fourth wall on occasion and play direct to camera. Charming, hilarious, childish, lustful, and sometimes murderous, the petulant emperor of Rome seeks to be entertained, and not upstaged. He wishes the Doctor to play the lyre for him, but the Doctor is far too busy endeavouring to play the man instead. In episode three, Conspiracy, the scenes when the Emperor takes a shine to Barbara are a joy with plenty of run-around fun for both Francis and Jacqueline Hill. In contrast, Kay Patrick plays Nero’s scheming wife, Poppaea, absolutely straight. Her actions attempting to poison Barbara go unpunished, though only a slight dig into Roman history reveal that she met an untimely demise in a manner not suited to family viewing. As Tavius, Michael Peak makes for another interesting character. Painted as a good and decent man, he’s bound by the constraints of the society he lives in and is not above being involved in the conspiracy to murder Nero despite his apparent Christian attitudes. I was impressed by the separation within the script taking the TARDIS crew on their disparate but interlinked stories, as each get some strong material to work with. Vicki is perhaps least well catered for, as she is mainly positioned as the Doctor’s stooge, although she does get to befriend the court poisoner and unknowingly save Barbara’s life. This switch of goblets, as former Doctor Who Magazine editor, Tom Spilsbury points out in the accompanying documentary on The Romans‘ DVD, gives us Doctor Who‘s first comedy death: that of the poor Tigellinus. While not out of place in this story, it’s still outrageous and makes me wonder if, in a more serious story, the implications of this might have been followed up. 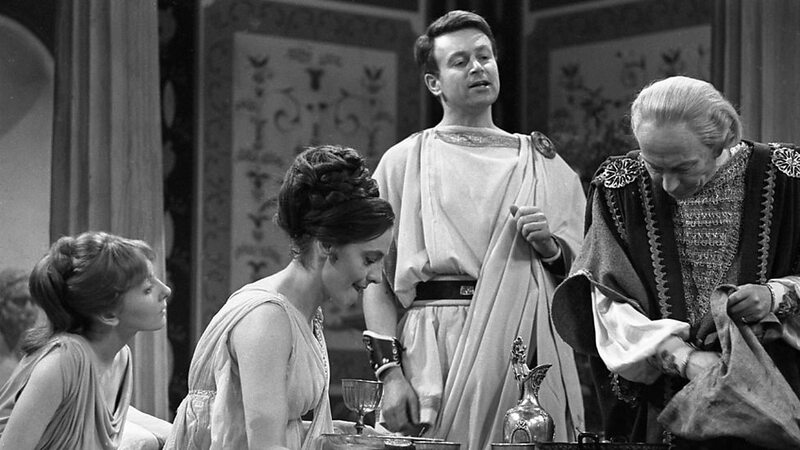 In the beginning and ending scenes in the villa, William Russell and Jacqueline Hill’s wonderful comedic rapport is a joy to watch. The fridge joke is great and it’s lovely to see it returned to in episode 4, Inferno, where Ian gets his own back. Also, there are some great looks as Barbara first dodges and then confesses to being responsible for Ian’s initial bash on the head allowing their subsequent capture. While the story makes extensive use of stock footage to illustrate Ian’s journey, some clips are more convincing than others; the dramatic storms which crash the galley ship look great, the lions that form the cliffhanger of episode two, All Roads Lead to Rome, are as threatening as your average neighbourhood tabby. In both the documentary and commentary on its DVD release, much is made of the director and production designer’s disappointment regarding the model shots of Rome ablaze. Personally, I did not share their concerns and felt it looked okay, augmented as it was with some stock footage. Indeed, there’s a quite wonderful moment at the end of that sequence where flame are superimposed over an insane (but historically inaccurate – par for the course here) Nero playing his Lyre and we are soon on the Doctor as we wonder if he is going to accept that he is responsible for the fires of Rome, as Vicki asserts. The Romans is such fun you really can’t take it too seriously, and it’s obvious that’s how it was intended. It’s true that there are various historical inaccuracies such as the seated dining, Nero’s age, and the Christian symbolism, but these are all minor quibbles. Despite the strong elements of farce and Derek Francis’ scene-stealing performance, there are enough violent undertones to give the adventure some teeth. Poor Ian really has a tough time of it, from galley slave to gladiator in the arena, while Barbara fends off an amorous Emperor and the Doctor has a bit of a laugh accidentally inspiring the great fire of Rome, much to his own amusement. It’s great to see the series to branch out and try something new. Doctor Who‘s success was borne out of the early creativity that dared to push the format in such different directions. It makes me wonder if the show today could sustain a historical, comedy or otherwise, without any true sci-fi concept or monster of the week. Perhaps they ought to try. ← Enjoy Big Finish’s Fourth Doctor Adventures Free on BBC Radio 4 Extra!